Enjoy the top 10 famous quotes, sayings and quotations by Rudy Vallee. 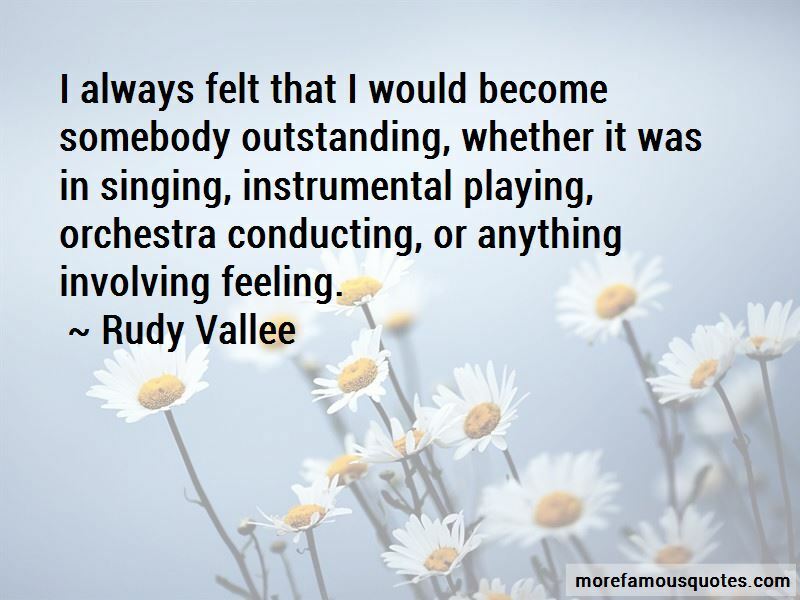 I always felt that I would become somebody outstanding, whether it was in singing, instrumental playing, orchestra conducting, or anything involving feeling. Composers now just don't have the depth of inspiration for melody. Most of the lyrics of the pop songs you hear today are repetitious. They're almost nursery rhymes, as if written by children - which they are. It's too bad that there aren't as many light comedies around in the movies as there were when I was making pictures like 'The Bachelor and the Bobby-Soxer.' The boys are just not writing them. Many writers are more serious now than they used to be, and that's showing up in all phases of entertainment. 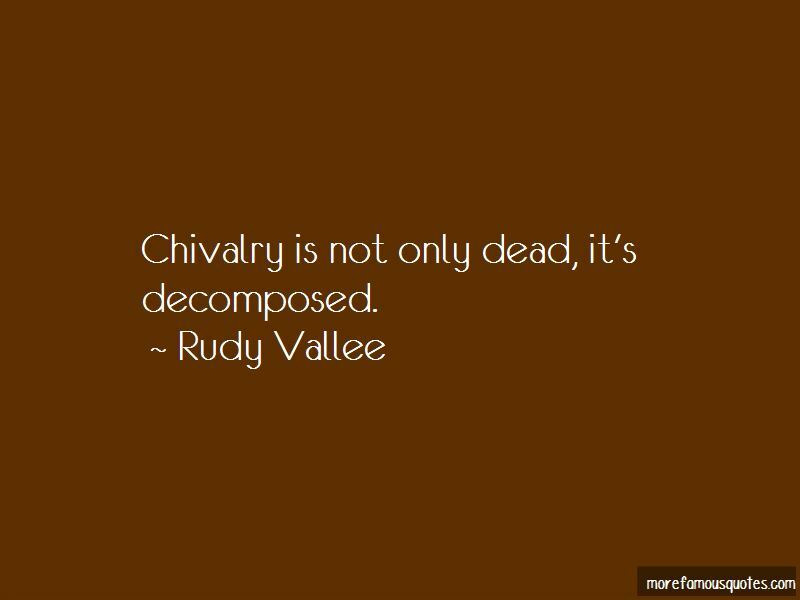 Chivalry is not only dead, it's decomposed. 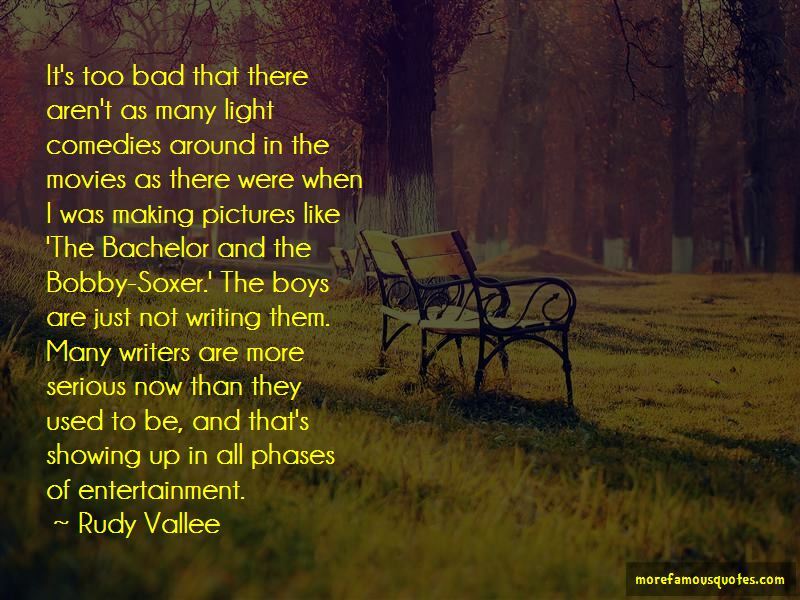 Want to see more pictures of Rudy Vallee quotes? 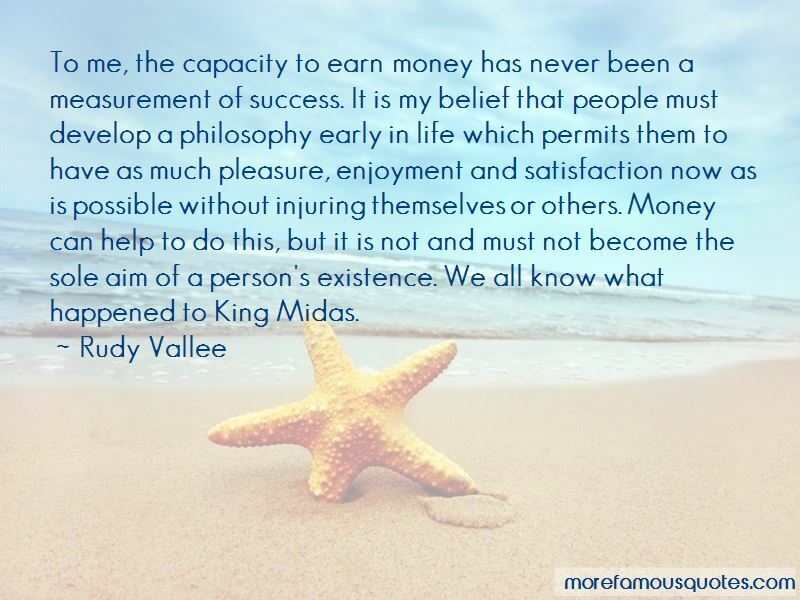 Click on image of Rudy Vallee quotes to view full size.